I have filmed in all 50 states and have been fortunate to see some of the most beautiful spots in America. But few places have affected me as the first time I saw Crater Lake. Located high atop the Cascades in southern Oregon, Crater Lake National Park preserves one of the deepest and cleanest bodies of fresh water in the world. 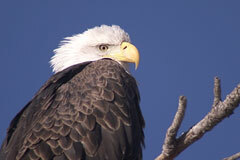 Great Divide is currently producing a new interpretive film for the Park. We filmed at Crater Lake in July and September. But nothing could prepare me for seeing Crater Lake in winter. Being from Colorado, seeing large amounts of snow is no big deal. 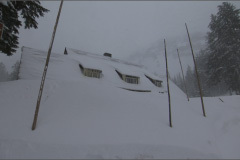 But Crater Lake gets 528 inches annually. That’s 44feet!!! Snow is on the ground almost every month of the year. 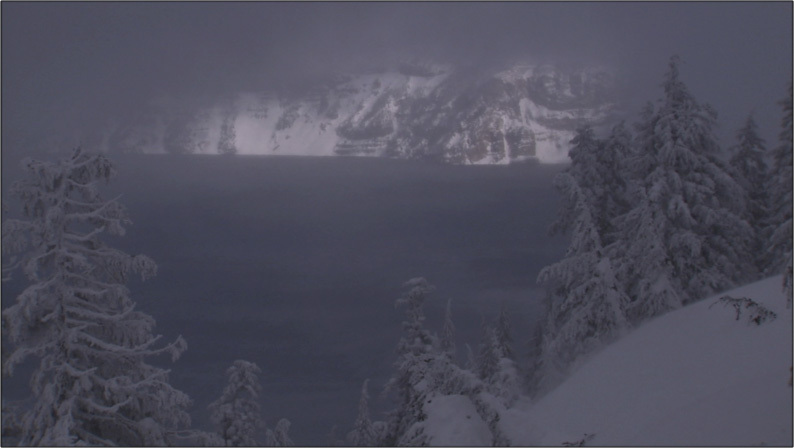 So it was with excitement – and some trepidation – that I went to film Crater Lake in February. “Grimes” is middle-aged, slight in build, and balding. At first impression, he seems more inclined to be wearing a lab coat in Silicon Valley than being a ranger in one of the harshest environments in the lower 48. But alas, Grimes would prove me wrong. During the past summer, I went on a ranger-led boat tour of the lake that was hosted by Grimes. His interpretive presentation of Crater Lake was flawless, delivered with expertise, inspiration and just the right touches of humor. When Grimes’ presentation was over, the 30+ people on the boat broke into a spontaneous, heartfelt applause. Grimes is everything that a ranger with the National Park Service should be. On this snowy February day, Grimes had volunteered to help me get footage of the winter storm as it slammed into Crater Lake. The road encircling the lake closes for the winter. So, the only way to see the lake is by cross country skis or snowshoe. Grimes had both his snowshoes on before I could even tighten my first strap. He then offered to carry my tripod, thereby becoming my newest best friend (Note; Anyone who carries my tripod is my newest best friend). Grimes then took off into the wilds of Crater Lake National Park, effortlessly gliding through four feet of fresh powder like a snowshoe hare. Meanwhile, I trudged behind, slipping up mounds of snow, then tumbling down the backside – and onto my backside. (Note to self: do not try to walk backwards in snowshoes). Grimes patiently waited for me as I huffed and puffed to catch up with him. Despite the temperature being 18 degrees, I was perspiring profusely. Grimes had barely broken a sweat. We finally made it to the rim for a view of the lake. There was only one problem. At this moment, there was no view. Clouds from the approaching storm had completely enveloped the lake. Grimes mentioned that on most days during the winter, Crater Lake is socked in by weather and is not visible. Then, wind gusts up to 40 mph, began whipping up the snow. It was hard to tell if it was snowing or just blowing. Probably, it was a combination of both. It’s a humbling, frightening, yet exhilarating feeling to be in the midst of such a powerful natural display. The wind howled through the trees so loudly that Grimes and I could not speak to each other without yelling. For Grimes, it was a special and rare experience. Most of the time, he is answering visitors’ questions that range from “Why is the water so blue?” to “Where is the rest room?” On this day, he could simply “observe” and take in the raw power of Crater Lake without interruption. As Grimes and I withstood the winter storm, we looked skyward and observed a faint blue break in the clouds, almost like the eye of hurricane. With in minutes, Wizard Island, a large cinder cone in the middle of Crater Lake, appeared like an apparition. Soon after was a site I could hardly believe. The clouds had broken enough to see the opposite shore of the lake, some six miles away. Rays of sunlight hit the snow-covered rocks of the caldera just above the water line. Within the fury of the storm was this silver lining – a literal silver lining of Crater Lake. Grimes, the ranger who has seen it all in his eight years at Crater Lake, looked at me and nodded in approval. After a minute, the ‘silver lining’ vaporized into the winter sky. Once again, the winds began to howl.